While Detective Pikachu won't be a fighter in Super Smash Bros. Ultimate, the adorable investigator will be present in the game as a Spirit. The news comes way of VG 27/4 and its new hands-on video that at one point, very briefly, shows Detective Pikachu in the game as a Spirit. This is notably the first time a Pokemon spin-off game has had any representation in a Super Smash Bros. game since 2001 entry on the GameCube, Super Smash Bros. Melee. For those that don't know: Spirits are a new type of collectible being introduced in Super Smash Bros. Ultimate that are basically replacing trophies as the main collectible. Unlike trophies, which were 3D models, Spirits are simply 2D images from different Nintendo games, as well as other games beyond the realm of Nintendo. For example, there's one for Goku from Dragon Ball, Revolver Ocelot from Metal Gear Solid, Crash Man from Mega Man, and much more. Spirits aren't just to look at either, they also factor into gameplay. Each one has an ability that can give your fighter different boosts and perks in battle. For more information on how they work, how to get them, and more, click here. Interestingly, with Detective Pikachu confirmed as a Spirit, it now seems unlikely that the character will join the roster as a fighter via DLC. 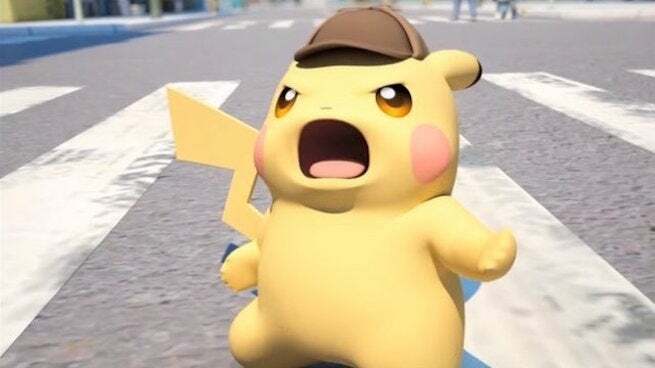 It also seemingly confirms that normal Pikachu won't have or get a Detective Pikachu alternate costume, which is a bummer. Super Smash Bros. Ultimate is poised to release next month on December 7 via the Nintendo Switch. For more news and coverage on the highly-anticipated platform fighter, click here. For those that don't know: the newest entry in the beloved series is poised to be the biggest entry to date, notably packing the biggest roster ever. Said roster not only includes every fighter that featured in the past, but a host of news ones, like King K. Rool, Ridley, and Simon Belmont. In addition to packing new fighters, Super Smash Bros. Ultimate will also come with a variety of new gameplay changes, every stage featured in the series, and a new type of story mode called World of Light, which judging off its opening scene, will be equally awesome and strange.